Hardcover, 9.75 x 11.5 in. / 320 pgs / 318 illustrations. 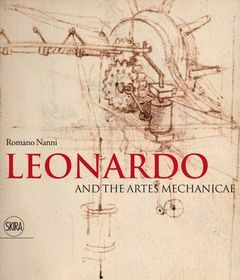 The extraordinary technologic innovations and revolutionary machines from the collection of the Leonardo Museum in Vinci. This beautifully illustrated volume discovers the multiple interests of Leonardo the technologist, the architect, the man of science and, more generally, the history of Renaissance techniques. Romano Nanni is director of the Biblioteca Leonardiana and of the Leonardo Museum in Vinci (Florence). FORMAT: Hbk, 9.75 x 11.5 in. / 320 pgs / 318 illustrations.